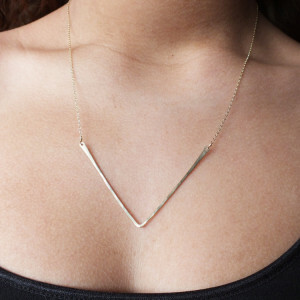 What initial do you want on the triangle? Or leave blank? Sleek gold filled or sterling cross drops from a hammered triangle charm that can be personalized with an initial. 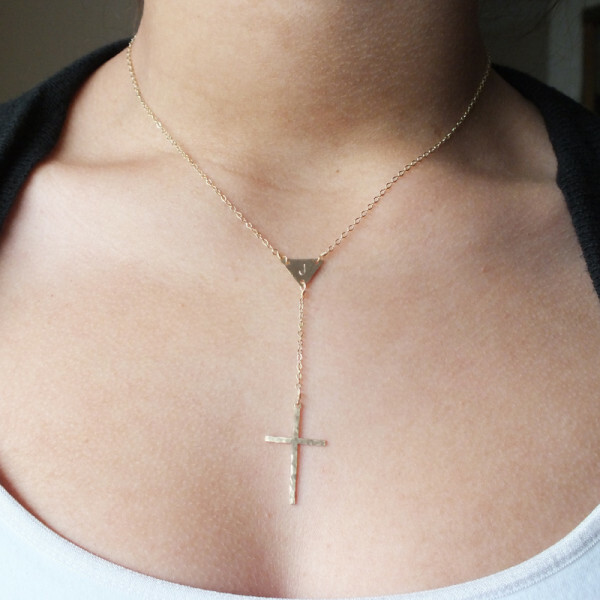 The gold filled chain measures 15-17″ and the cross drops 3″. Select your desired metal and length.